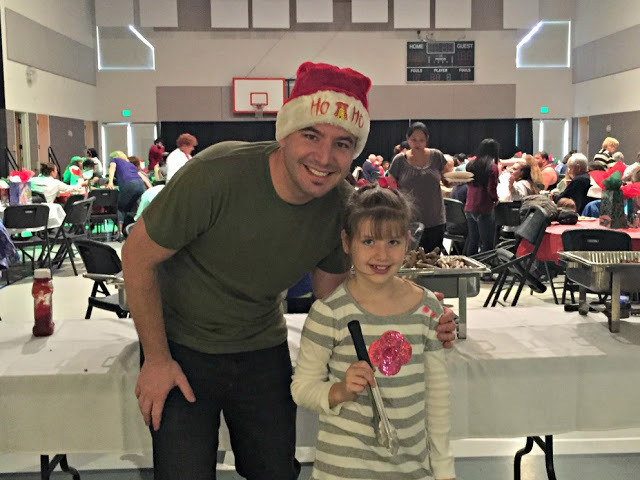 Lunchbox Dad: 10 Ways to Celebrate the Holidays With Your Family! 10 Ways to Celebrate the Holidays With Your Family! This is a sponsored post in partnership with The Quaker Oats Company®. All opinions are my own. The holidays are here and they are a great time for families to spend some much needed time together without driving each other crazy. With school vacation almost upon us, you don't need ideas that kill time, you need ideas that bring your family memories that will be talked about year after year. Here are some of my favorite holiday ideas! 1. Setup the holiday decorations, and even let the kids help. I believe it should be illegal to adorn your house with lights and obnoxious inflatable lawn ornaments until the day after Thanksgiving. For that matter Christmas songs should be off limits until then as well. In our family, we always decorate the weekend after Thanksgiving and leave them up until the first week of January. Let your kids help decorate as well. Not only will it give you some bonding time, but you really didn't want to unknot that string of lights yourself anyway did you? 2. Build a blanket fort. When I was growing up my brother and I would build forts out of anything we could find around the house. We would use heavy books, trophies, and lamps to hold our hideouts up. However, it was only a matter of time before it would all come tumbling down on our heads. I recommend using clothespins or some small clamps. These work much better and will exponentially reduce the amount of pain received. Remember to spend a night with your kids in the fort as well. The next day with a stiff back will be worth the memories that you all will have. 3. Get in the kitchen and bake together. In my experience, getting in the kitchen with your kids for an hour is a great way to bond as a family. You don't have to take yourselves seriously, you can get a little messy, and the kids are sometimes better at baking than the adults. If you need a recipe idea, check out my Brown Sugar Raspberry Oatmeal bake with Quaker® Oats. It's perfect for breakfast treat, or even dessert! Ingredients: 3 cups Quaker Old-Fashioned Oats, 2 eggs (beaten), 1 1/2 cups milk, 1 cup apple sauce, 1/4 cup brown sugar, 2 tsp honey, 1 1/2 cups fresh raspberries. 2. Mix together eggs, milk, apple sauce, brown sugar, sugar, and honey. 3. Add raspberries and Quaker Old-Fashioned Oats to mixture. 4. Pour mixture into 9x13 pan. 6. Sprinkle a small amount of brown sugar on top after baking and serve. 4. 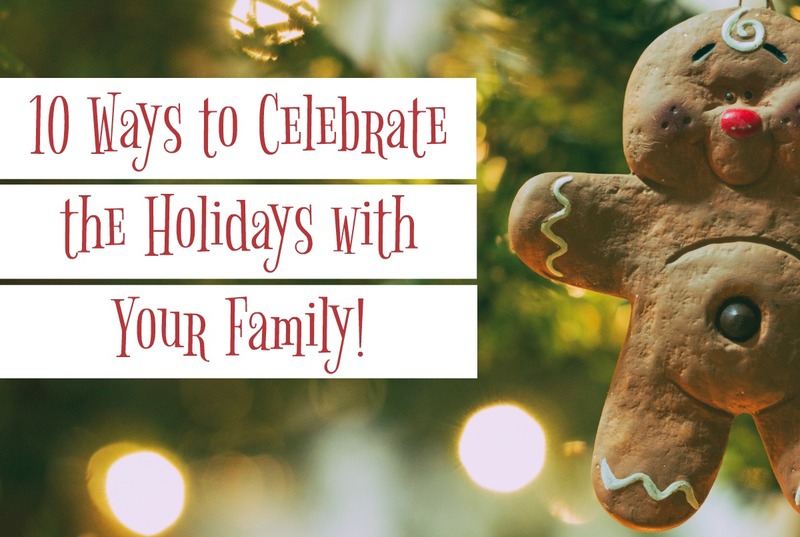 Go to a special holiday event as a family. In pretty much every town, there is a free parade, tree lighting, or other sort of holiday celebration. Seeing a production of the A Christmas Carol is always fun. Even if it is a little cold outside, there always seems to be unintentionally funny memories that happen on a night like this. 5. Give back to families who need it. We want our kids to realize that even though they don't have everything that they want, there are other kids who don't have close to everything that they need. If my kids can learn to see beyond themselves during the holidays, it can hopefully help them look for ways to help others throughout the year. There are usually plenty of organizations that need help in many different ways. Hopefully, as parents, we can model to our kids that you can show love to others by giving items, your time, or both. Plus, it's loads of fun to volunteer together as a family! 6. Watch a movie and make a special holiday popcorn recipe. For us the annual movie is A Christmas Story, but you should pick that one movie that you will watch every year during the holiday break. It doesn't even have to be a winter themed movie. Maybe it's a Halloween movie, or an old cheesy movie that you can all make fun of. The thing that matters is that you make some popcorn, like a special holiday recipe, and spend time together as a family. 7. Create a signature holiday family craft. Just hop on Pinterest and you won't be able to scroll for five seconds without finding a holiday craft. Let your family all vote on one and you can each make your own version of it. When finished proudly display for all to see, or you can keep them locked in the hall closet, it's your choice. 8. Read "The Night Before Christmas" together. 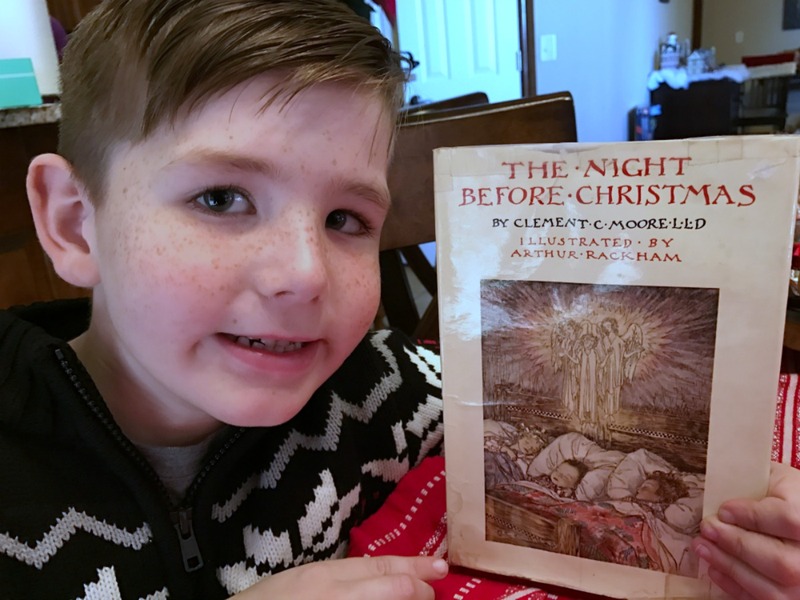 The tradition in my family growing up was that my dad would read us The Night Before Christmas every Christmas Eve before bed. Not only that, but he would read it out of the same book every year. My dad is gone now, but I have that very same book which I now read to my own kids at Christmas time. It is one of my very favorite holiday traditions! 9. Everyone get in their P.J. 's and drive around looking at Christmas lights. Everyone knows the best neighborhoods for Christmas lights. Make some hot cocoa in a thermos and get everyone in their pajamas. Because, well, it's one less step to get the kids in bed when you arrive home. Besides that, there are some amazing and creative designs that only come out during the holiday season, and you don't want to miss them. 10. Go pick out and cut down a Christmas tree. I'm not advocating pulling a "Christmas Vacation" and freezing and getting lost in the woods in the middle of nowhere to find the perfect tree, but I do remember the times that my family was able to go to a tree farm and cut down our own tree. It was more about the hunt than finding the perfectly shaped Douglas Fir. If you celebrate Christmas, you should take your kids to have this same experience at least once. Hopefully this list inspires you to spend some fun quality time together over the next few weeks. Remember that you don't need to do every single one, just pick out a couple that will work best for your family. 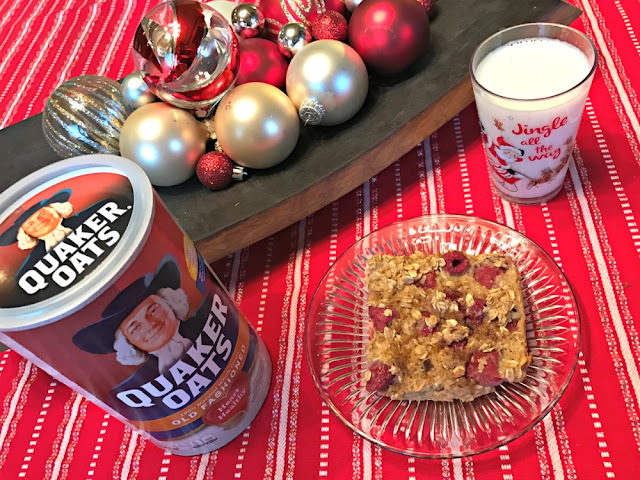 I guarantee you will want to try my Brown Sugar and Raspberry Oatmeal Bake with Quaker® Oats though. I wish you and your family a very Happy Holidays!